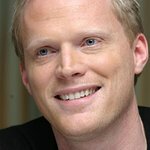 Actor Paul Bettany and actresses AnnaLynne McCord and Kelly Rutherford will join women’s rights leaders and activists for a March For Gender Equality on March 8 in NYC. The MARCH FOR GENDER EQUALITY: STEP IT UP! 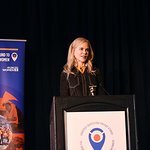 PLANET 50-50 BY 2030 event is co-hosted by UN Women and the City of New York, with the UN Women for Peace Association, NGO Committee on the Status of Women, NY (NGO CSW/NY), Man Up and The Working Group on Girls NGO. Marking International Women’s Day, the event will bring together diverse partners on the eve of the 20-year anniversary commemoration of the Beijing Declaration and Platform for Action. Leading the march will be Leymah Roberta Gbowee, Nobel laureate, Chirlane McCray, First Lady of the City of New York and UN Women Executive Director Phumzile Mlambo-Ngcuka. WHEN: Sunday, 8 March 2015, 2.30 – 5.00 p.m. Detailed Programme: The march will be held on Sunday, 8 March 2015 and will run from 2.30 to 5.00 p.m. Participants will assemble at the Dag Hammarskjöld Plaza, at the corner of 47th Street and 2nd Avenue starting at 1.30 p.m. The march will end at Times Square, at the corner of 42nd Street and 7th Avenue, where participants will collectively urge for renewed commitments to gender equality.